Peng Lei's mother passed away. His big brother studies in the middle school. His father and grandma do farm work to support the family. But his father and grandma are often sick, so they can't do heavy work. Peng Lei was healthy upon admission. Peng Lei's family is having difficulty supporting the child's basic needs. 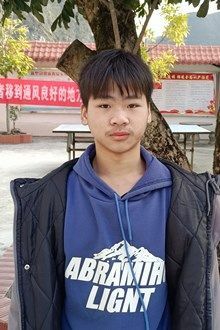 He needs our help in order to study in the school. Tell your friends Peng needs a sponsor!